Rhodes is a residential college committed to excellence in the liberal arts and sciences. Our highest priorities are intellectual engagement, service to others, and honor among ourselves. We live this life on one of the country’s most beautiful campuses in the heart of Memphis, Tennessee, an economic, political, and cultural center, making Rhodes one of a handful of national liberal arts and sciences colleges in a major metropolitan area. • Rhodes is a national four-year, private, coeducational, residential liberal arts and sciences college, one of only 40 colleges and universities in North America profiled in the highly respected guide Colleges That Change Lives. • Approximately 2,010 students representing 46 states (plus Washington, DC) and 43 countries; 30% students of color; more than 80% participate in service; 75% complete internships; 65% study abroad or at off-campus sites in the United States; nearly 100% of first-year students live on campus; 52% belong to social fraternities or sororities. • Rhodes offers 100+ student clubs, organizations, and intramural and club sports. There are 21 men’s and women’s NCAA Division III intercollegiate teams. • Condé Nast Traveler named Rhodes College one of America’s “50 Most Beautiful College Campuses” over the summer. 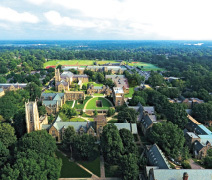 • Rhodes College is featured in the Fiske Guide to Colleges 2019, which includes profiles of more than 300 of the “best and most interesting” colleges in the country. Rhodes also made the guide’s lists of small colleges and universities strong in Business and International Studies. • Rhodes is among the US colleges and universities that produced the most 2017–2018 Fulbright US Student Scholars. • Rhodes College is profiled among the nation’s best colleges for academics, career preparation, and affordability in The Princeton Review’s 2018 edition of Colleges That Pay You Back: The 200 Schools That Give You the Best Bang for Your Tuition Buck. • Rhodes College has made the “Best College Values” rankings for 2018 by Kiplinger’s Personal Finance magazine. Rhodes is #38 on its list of 100 “best values” in liberal arts colleges and is #70 among the 300 colleges ranked overall. Rhodes’s rigorous approach to liberal arts and sciences inspires students to discover and cultivate lifelong passions and make a difference in the classroom, on campus, in the city of Memphis, and throughout the world. Simply put, our mission is to prepare students to become essential in life and career, wherever those journeys take them. The classroom experience at Rhodes is intimate and rigorous. We value the kind of engaging dialogue that arises when students and professors work together to investigate questions and problems they care about. In this environment, students are expected to formulate and articulate big ideas and contribute in major ways to the critical discussions and debates that take place in our classrooms and laboratories. We believe in the power of the personal relationship between professor and student. 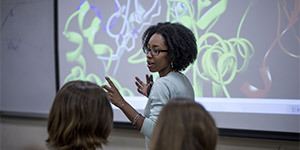 Faculty members at Rhodes are scholars by example, and they consider the academic experience to be an intellectual journey for both students and professors. Our faculty work closely with students—in and out of the classroom—to challenge them to find their passion for knowledge and discover the person they want to become. Rhodes provides endless opportunities for students to contribute and lead. Whether it’s serving on Rhodes Student Government or the Honor Council, working as a Rhodes Student Associate, organizing a community service initiative, participating in athletics, or bringing new ideas and energy to a student club or organization, our students play a critical role in defining and enhancing the residential experience on our campus. Our collegiate-Gothic campus sits on 110 wooded acres in the heart of historic Midtown Memphis. In this beautiful, supportive environment, our students and professors comprise a community unmatched in its dedication to learning and a life of honor and integrity. Every walkway, quadrangle, residence hall, common area, recreational area, classroom, and lab is designed to encourage intimate conversation, the exchange of ideas, and life-changing connections. Memphis is our home. Here Rhodes students are helping researchers at St. Jude Children’s Research Hospital find cures for childhood cancers, building racial understanding through our Crossroads to Freedom project, addressing the ills of urban poverty through education and health care, and focusing on environmental issues from an urban perspective. They are immersed in a culture where academic growth and social action go hand in hand and where their ideas and actions make an impact in the real world. World headquarters to Fortune 500 companies such as FedEx and International Paper and a major hub for biomedical research, distribution, and industry, Memphis offers prestigious internships and research opportunities. And the city’s independent spirit makes it fertile ground for arts and culture, nonprofits, community service, and do-it-yourself leaders of all kinds. We provide our students access to world-class faculty and real-world experiences, which enables them to develop the intellectual muscle to move big ideas and the character to do so in the service of humanity. 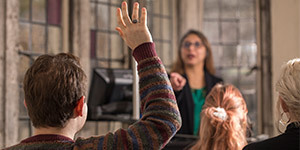 Rhodes graduates are perceptive thinkers, creative problem solvers, and lifelong learners, and they have the skills and abilities to connect them to the country’s top graduate and professional schools, interesting careers, and fulfilling lives. Choose any field of human endeavor—from medicine, law, or education to business, politics, or the fine arts—and there are Rhodes graduates working within the discipline to change the world.